The Safety and Technical team has completed the update of the UKRA safety code. The major amendments can be found on page ii. UKRA invite you to a day of rocket launching and the annual AGM at the BMFA National centre in Buckminster (pending NOTAM issuance) on Saturday 2nd September 2017. No charge for UKRA members. Ceiling 5k or max K class, but subject to RSO discretion on the day. Camping is available on the Friday night before the event, and on the Saturday night for those who may want to go onto EARS Sunday launch at a rate of £5 per night. The upcoming UK rocketry events for 2017 have been updated and can be found at http://www.ukra.org.uk/events. Come along to a rocketry event near you! The UK club map has also been updated at http://www.ukra.org.uk/ukclubs. UKRA 2017 membership renewals are now open. Council has agreed to maintain the cost at the same level as 2016. The BMFA membership costs also remain the same as 2016. Current members can renew online at http://www.ukra.org.uk/renew - for more complicated arrangements such as family groups please contact membership@ukra.org.uk to discuss your requirements. 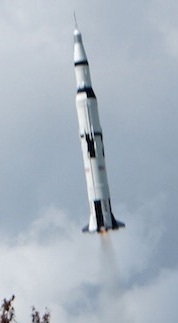 What is rocketry all about? Maybe some Science and Technology? Pyrotechnics? Electronics? or just plain Model Building? The answer is of course ... all of the above and so much more. Rocketry can be whatever you would like it to be, at any level you’d like it to be and can take you as far as your imagination wants it to.